The Nueces County A&M Club, commonly known as the Salty Aggies, is an alumni organization of former students of Texas A&M University living in Corpus Christi and the surrounding areas in Nueces County. The Nueces County A&M Club is a chartered club of the Association of Former Students. 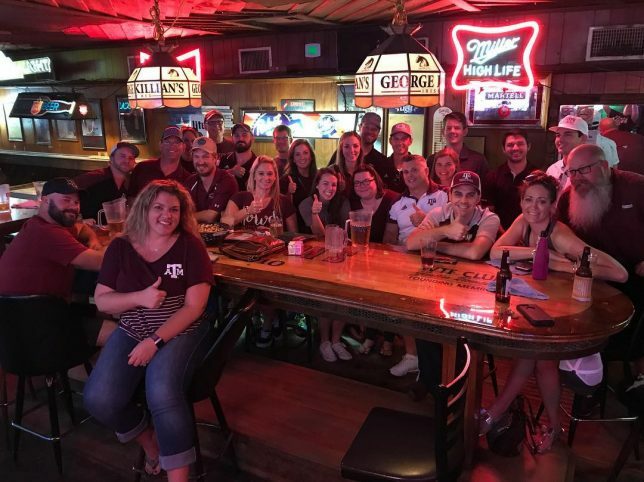 Throughout the year, the Nueces County A&M Club sponsors numerous activities where local Aggies can reunite with old friends and meet new ones. Annual activities of the Club include Aggie Muster, the George Puls Jr. ’44 Memorial Golf Tournament, and the Lonesome Dove Kickoff BBQ. Social events include monthly Aggie Happy Hours and quarterly Aggie Networking Luncheons. Aside from promoting fellowship among local Aggies, the Nueces County A&M Club provides scholarships for future Aggies from the Corpus Christi area. In fact, the primary purpose of our events involves raising funds for our scholarship program.